Humphreys was raised in Bridgeton, New Jersey and San Antonio, Texas. It was said that the family were of part Mexican Native descent. An apparent trans child who played with dolls, and wore girls’ clothes, Humphreys wanted to do people’s hair. As Rachel she graduated in hair-dressing at a cosmetology school in Bayonne, New Jersey (north of Staten Island, across the river from Manhattan). She was a regular at Max's, Kansas City, the hip and glam rock nightclub on Park Avenue South. She also frequented the 82 Club on E 4th St which was in transition from a transvestite performance club to a glam rock and then punk club. The New York Dolls did their first show there on April 17, 1974, when they performed in drag, except for Johnny Thunders who refused. They were followed by Wayne County (not yet using the name Jayne) and short-lived glitter bands like Teenage Lust and Harlots of 42nd Street. She moved in with him right away. 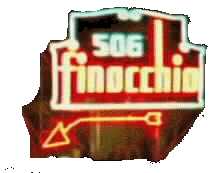 He was then living in a modest one-bedroom apartment at 405 East 63rd street. 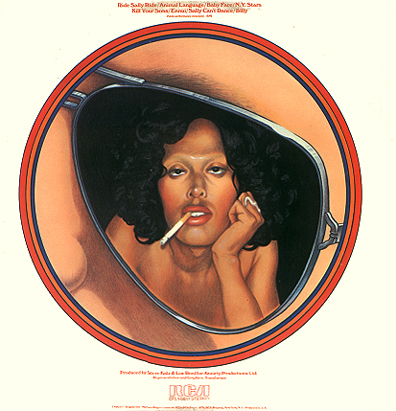 Lou had already written a few songs about trans women, and with the single “Walk on the Wild Side” (which referred to the Andy Warhol-sponsored trans stars, Candy Darling, Holly Woodlawn and Jackie Curtis) had his biggest hit. Rachel was at this time oscillating. Some days she was Ricky, and others he was Rachel. People who knew Lou and Rachel used either pronoun. One journalist referred to Lou’s ‘boyfriend named Rachel’. Both Lou and Rachel enjoyed the confusion and further muddied the water by wearing each other’s clothes. She was street-wise and spunky in a way that Lou only pretended to be. She was said to always carry a knife, and was good in a fight – which proved useful when a concert at the Pallazzo dello Sport in Rome turned into a riot 15 February 1975. Lou had been working on his fourth solo album, Sally Can’t Dance – the title track and spin-off single assumed to refer to trans woman, Sally Maggio, who was manager at the 220 Club, another trans bar where Lou went drinking. Sally would in the 1980s open Sally’s Hideaway, and then Sally’s II, again a bar for trans persons and with trans performers. However it was Rachel whose image was on the obverse of the Sally Can’t Dance LP sleeve, drawn as if reflected in Lou’s shades. “Rachel had been contemplating gender reassignment surgery, but the transgender rights movement had not yet solidified, and not fully understanding the nature of the decision, Lou was adamantly opposed to any operations, a growing source of conflict in their relationship”. Despite this, a friend commented: ““I think that Rachel was the glue holding Lou together, or at least keeping him in the public view in many respects … I know that he doted on her. If there was a light shining, it was the two of them together. 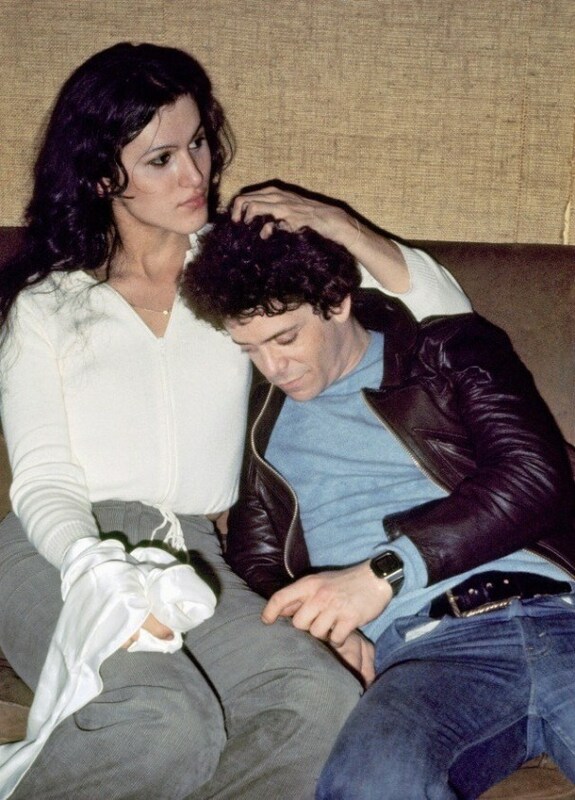 It doesn’t mean it was the healthiest relationship in the world.” The cover of Walk on the Wild Side: The Best of Lou Reed, 1977 is of photographs of the two of them. "Rachel knows how to do it for me, no one else before ever did”. “Well why are you doing that? I love you because of the way you are”. The title track of Street Hassle, 1978 is about her, and an article in Rolling Stone referred to Rachel as the raison d’etre of the album, although in fact it marked the end of their relationship. Lou moved on, having met Sylvia Morales, who became his third wife in 1980. Reed completely refused to talk about Rachel after 1978. He desisted and decided to go straight. Both his later marriages were with cis women. There is a rumor that Rachel died in the early 1990s, possibly from HIV complications. Lou died in 2013, aged 71, from liver failure. LegsMcNeil & Gillian McCain. Please Kill Me: The Uncensored Oral History of Punk. Penguin books, 1997: 154-5, 206. Marc Campbell. "Rachel: Lou Reed’s transsexual muse". Dangerous Minds, 02.06.2013. Online. Howard Sounes. Notes from the Velvet Underground: The Life of Lou Reed. Doubleday, 2015: 182-4, 187, 189, 191, 192, 194, 195, 202, 203, 205, 208, 212, 213, 214, 215-6, 221-2, 226, 229, 235, 248, 269. Simon Reynolds. Shock and Awe: Glam Rock and Its legacy, from the Seventies to the Twenty-First Century. William Morrow Publishers, 2016: 271-2. Aidan Levy. Dirty Blvd. : The Life and Music of Lou Reed. Chicago Review Press, 2016: 221-2, 227, 233, 244, 251-3, 264, 285. 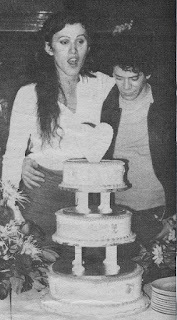 Many books and articles say that Lou Reed married three times, but of course he and Rachel were prohibited by the regressive laws in force at the time. If they had been married legally, Lou would have had to pay alimony. While separation from Lou left her free to pursue transgender surgery, the rumors are that she descended into poverty and homelessness. It is of course the case that most of the New York music and movies trans women of this period opted against surgery: Candy, Holly, Jackie, Chrysis, Kim Christie, Jayne County.